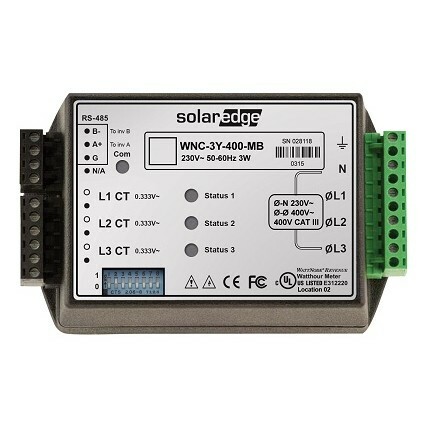 The SolarEdge electricity meter is used for production, consumption or feed-in monitoring and for Feed-in Control. The meter has high accuracy readings and by a wide selection of current transformers (50A – 1000A) supports residential and commercial installations. The meter connects to the SolarEdge inverter or Control and Communication Gateway via RS485 cable.